Here at GC Motors Service Centre we are always very keen to help customers. 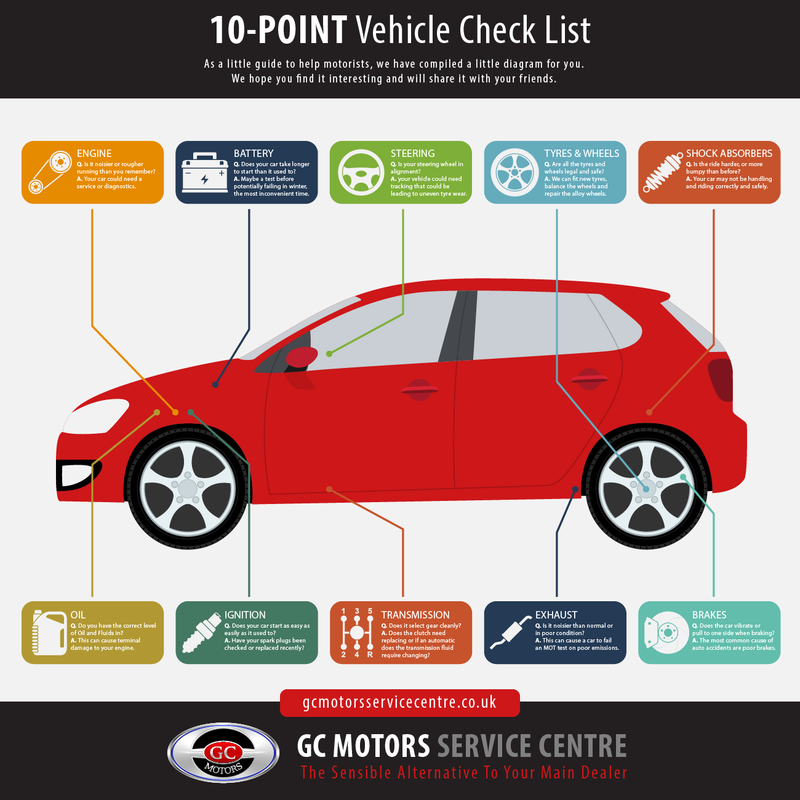 We have designed a quick 10-Point Vehicle Check List for you to relate to some of the main areas of your vehicle that should be monitored. This is just a quick reference to let you know if there is anything that needs attention on your vehicle. If there are any of the areas you think need attention or you are unsure about, give us a call and we can talk you through them. Why not call in instead, we will make you a nice cup of Yorkshire Tea and take a quick look for you. GC Motors Service Centre can SERVICE and MOT your AUDI, BMW, MERCEDES, RANGE ROVER and VOLKSWAGEN with massive savings against Main Dealer prices. Happy Motoring from the GC Motors Service Centre Team.